Week Four of the 2018 high school football season was a monster. No. 2 Clackamas beat No. 1 Lake Oswego on a last-second play. 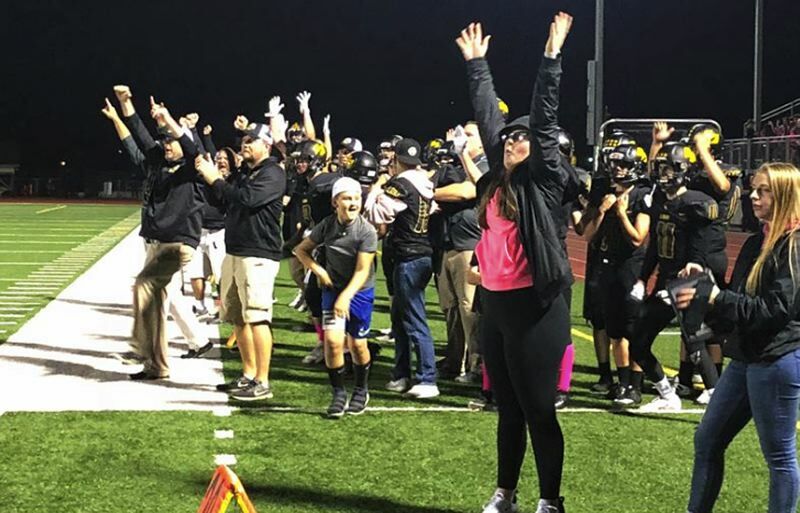 Gladstone followed suit with an impressive upset of top-ranked Estacada in Class 5A play. And St. Helens broke through to beat Wilson in another dramatic last-second victory. With all that going on, Pamplin Media Group's sports editors, reporters and photographers were out in force to document a bunch of it. To see last week's Play of the Day compilation, click here. To see last week's best of the best photo slidshow, click here. Both sides were spinning their wheels early before Gladstone dug in and steam rolled Estacada for a 42-22 win in Friday's clash of contenders to being the Special District 2 league season. Gladstone would eventually extend its lead to 28-0 before Estacada got on the scoreboard in the third quarter. Fifty-four yards from the end zone. What else could the St. Helens Lions do but have "Georgia" on their minds? Georgia — a long pass play out of a four-wide receiver set — worked twice in a row at the end of the game and gave the Lions a stunning, 42-35 victory Friday night over the visiting Wilson Trojans. The Pendleton Buckaroos showed Friday night at Scappoose why they are a force to be reckoned with in Class 5A football this season. The visiting Bucks rallied from early deficits to stay undefeated, beating the Indians, 47-27, in a showdown of top teams in the Oregon School Activities Association's new 5A Special District 1 for football.